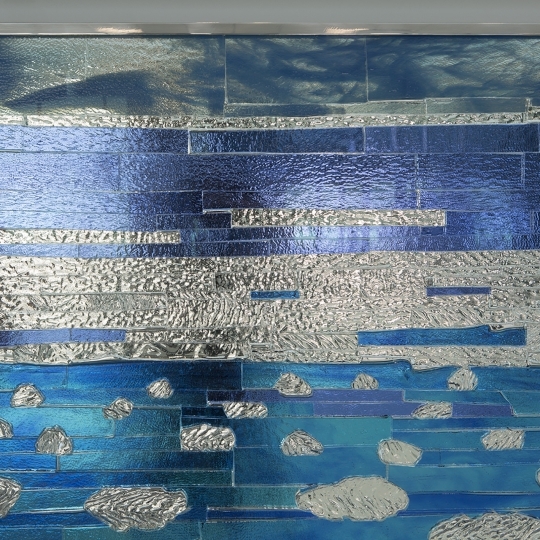 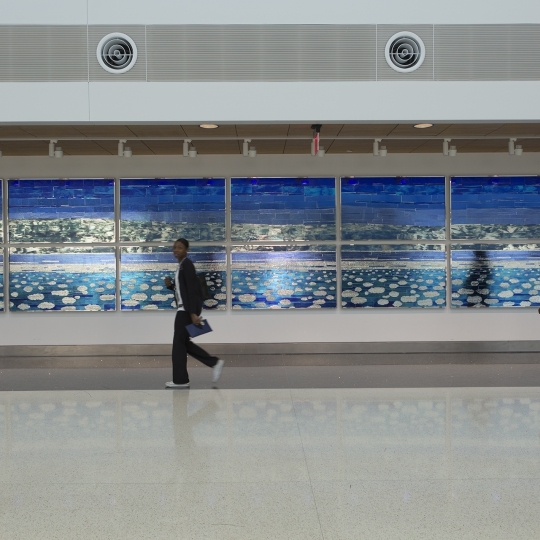 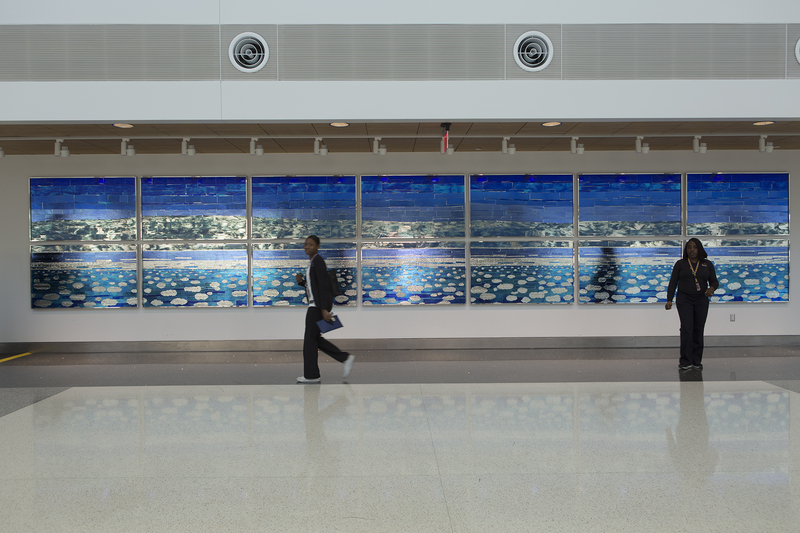 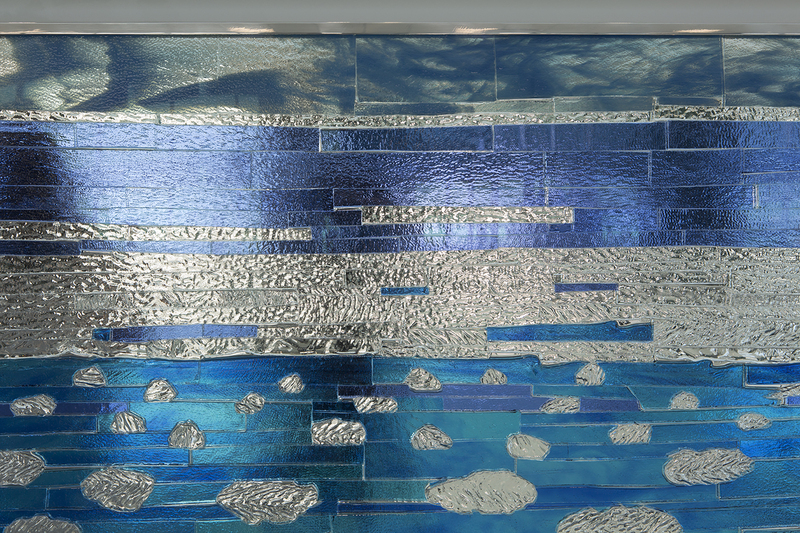 Glass Mosaic installed at Hobby Airport, Houston. 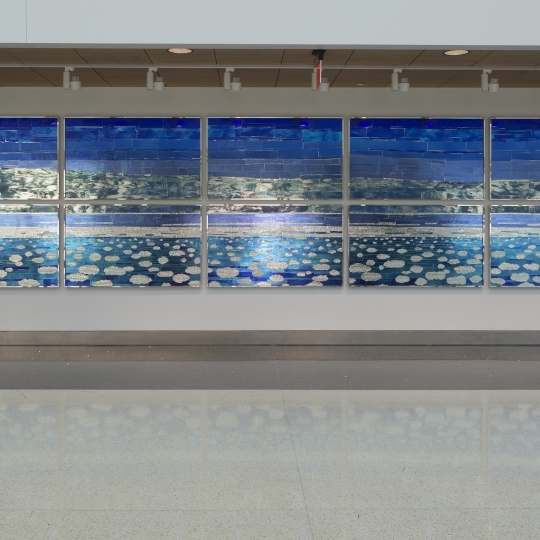 Glass, Epoxy Resin, and Mirror. 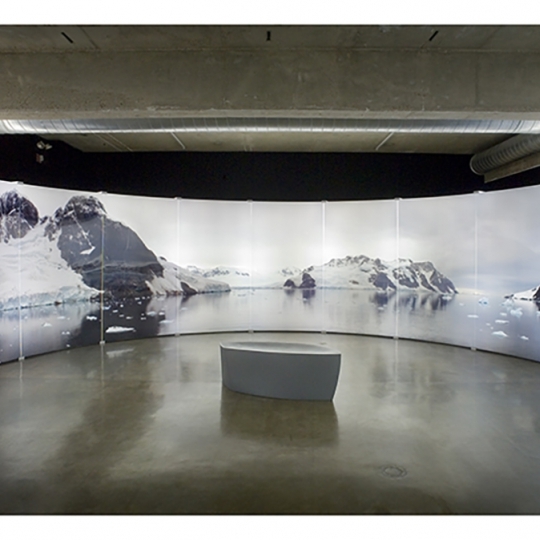 Permanent Collection. 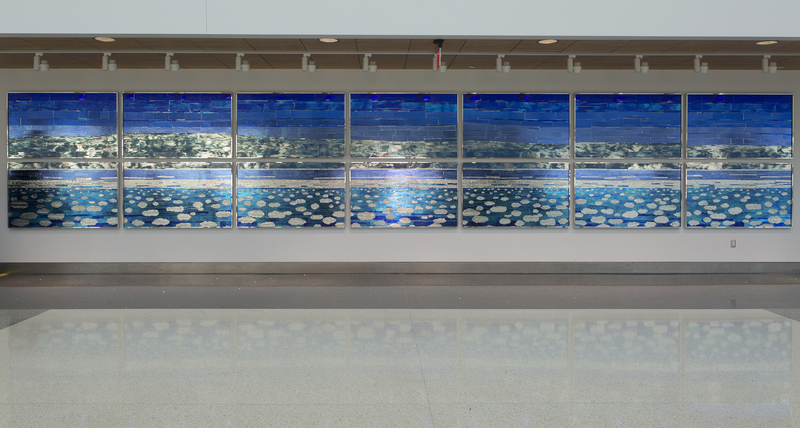 7’ x 36 ‘.